WED 11/1 WU: What do you think the phrase "Earth Systems" means? I CAN: explain what is meant by the phrase "Earth systems". I CAN: distinguish internal Earth processes from surface Earth processes and provide examples of each. THUR 11/2 WU: Name the 6 Earth processes that are working to change the Earth constantly (discussed from yesterday). I CAN: explain how Earth features such as mountains, valleys, trenches, ridges, etc are formed from destructive and constructive processes. I CAN: distinguish between destructive (wearing down) and constructive (causal) processes and provide examples of each. MON 11/6 WU: Describe orogeny and indicate if it is a destructive force or a constructive force...and why. I CAN: describe how internal and surface Earth processes occur on different temporal (time) scales. I CAN: distinguish between destructive (wearing down) and constructive (building up) processes and provide examples of each. TUES 11/7 WU: Describe what mass wasting is and also its spatial and temporal scales of operation. WED 11/8 WU: Look at this Earth feature below. Describe the constructive or destructive Earth processes at play to create this. Describe the spacial and temporal scale of operation of the Earth processes. Learning Tasks: Slide 9 - Practice rounds - practice quiz -productive talk...Reminder: QUICK QUIZ tomorrow! I CAN: Develop a model to illustrate how Earth's internal and surface processes operate at different spatial & temporal scales to form continental and ocean-floor features. I CAN: Use a model to illustrate the relationship between... 1. the formation of continental and ocean floor features and 2. Earth's internal and surface processes operating on different temporal or spatial scales. THUR 11/9 WU: If an Earth feature is created by plate tectonic type movements, what type of temporal scale is it likely operating on? I CAN: distinguish between positive and negative feedbacks and provide examples of each. I CAN: explain how one change to Earth's surface can create feedbacks that cause change to other Earth systems. MON 11/13 WU: Write a highlight from Friday's glacier video. TUES 11/14 WU: Define both negative and positive feedback loops. WED 11/15 WU: Describe how an increase in GHGs leads to a positive feedback loop for the melting glaciers. THUR 11/16 WU: Describe the positive feedback example of clear cutting vegetation along a river, water runoff and soil erosion. FRI 11/17 DUE: WU:Describe a pattern for your variable throughout the year (from yesterday). Was this pattern similar to another variable? Explain how this may be. MON 11/20 NEW: WU: An increase in one variable triggers a decrease in another variable, which then causes an increase in the original variable.... Is this an example of a positive or a negative feedback? Explain. Learning Tasks: Practice "reading" a map - TESTING TIME!! TUES 11/21 WU: How can variation or uncertainty in the data (ex. Limitations, accuracy, any bias in the data resulting from choice of sample, scale, instrumentation, etc) affect the interpretation of the data? Pick one and explain. MON 11/27 WU: Technology is used to gather information and data. What type of technology was used to create the global maps we used in the lab? TUES 11/28 WU: How do you think we are able to know what the structure of the Earth is INSIDE? I CAN: explain how we determine the 3-dimensional structure of the planet through seismic waves. WED 11/29 WU: Yesterday we spoke of vibrations or tremors. What can be a source of these? I CAN: describe how magnetic field changes can help determine the 3-dimensional structure of the planet. FRI 12/1 WU: If P-waves can travel through anything, why are there shadow areas where they aren't detected when an earthquake occurs? Learning Tasks: DUE: Biozone pgs 102-104 - Seismic waves, layers of the Earth & magnetic field models & notes/discussion -What role does density play? I CAN: explain the role density plays in the 3-dimensional structure of the planet (including the material making it up as well as the layering). I CAN: develop a model based on evidence of Earth's interior to describe the cycling of matter (Earth material) by thermal convection (heat). MON 12/4 WU: What evidence do we have that a liquid core layer exists inside the Earth? TUES 12/5 WU: What role does density play in the Earth's layers? WED 12/6 WU: How do we know the Earth's magnetic field has flipped over the years? THUR 12/7 WU: What is the difference between weather and climate? I CAN: describe where most of the incoming energy for our Earth comes from and how it moves in and around the Earth system. I CAN: describe how energy (insolation) coming into the Earth system isn't equal throughout the system. I CAN: describe how our Earth motions create changes in insolation throughout an Earth year. I CAN: explain how our planet has cycles of global climate change throughout history and can describe the global climate trend occurring now. FRI 12/8 DUE: WU: If 1 square was lit by a light at 90 degrees and 4 squares lit by the same light at a 66 degree angle, how much energy is hitting each of the 4 squares? How does this question answer tie in with insolation for the Earth? Learning Tasks: DUE: Biozone page 152-155 (discuss 3 take-home points...turn in) - Notes: What are the climate trends (in terms of temperature)? What is the IPCC and what is its value? How are greenhouse gases unique from other gases? MON 12/11 NEW: WU: Describe the current global temperature trend. I CAN: describe how greenhouse gases are different from other gases and the role they play in the greenhouse effect. TUES 12/12 WU: What type of energy do GHG absorb and emit and WHERE specifically does this energy come from right before it hits the GHGs? Learning Tasks: Show the 2 video clips from yesterday - Segment review ...quiz prep! I CAN: Construct an explanation based on evidence for how the availability of natural resources, occurrence of natural hazards, and changes in climate have influenced human activity. I CAN: Evaluate competing design solutions for developing, managing, and utilizing energy and mineral resources based on cost-benefit ratios. THUR 12/14 WU: Semester paper - the first option set requires you to construct an explanation based on evidence. If you are explaining how access to a resource has impacted human activity (pop size, migration patterns), what will you research to help you construct the explanation? ...provide evidence? FRI 12/15 DUE: WU: Semester paper - 2nd option set requires you to design your OWN solution. How would researching current practices and drawbacks of those help in this mission? Learning Tasks: Last-minute finishing touches game/model, tri-fold poster.. .DUE TOMORROW! I CAN: design & set up a poster and game/model to help teach my content. WED 1/10 NEW: WU: List some strategies you can employ to make your "presentation" more like an engaging teaching session. THUR 1/11 WU: What can you do to prevent yourself from turning in toward your poster while "teaching"? Also, how shall you dress tomorrow? **REMEMBER: 1st hour normal tomorrow. 2nd hour come straight to my room, grab your supplies then report to cafeteria commons and claim your space. MON 1/15 WU: Describe with detail, 2 ways human societies have been impacted (topics #1-7). Learning Tasks: 1/2 groups man their posters, while other 1/2 evaluates & takes notes. TUES 1/16 WU: Describe 1 design solution to topic 8,9,10, or 11. Provide 1 benefit and 1 drawback to the design solution. Learning Tasks: Switch from yesterday...so the other 1/2 mans their posters, while the others evaluate & take notes. WED 1/17 WU: What star life cycle stage is the sun currently in? THUR 1/18 WU: Material moves through the mantle by ____________ convection. When mantle movement is up toward the crust, what feature is formed? FRI 1/19 DUE: (take photo of your WU to study with) WU: What is caused by excess nitrates in the creek? Why is this a problem? 6th hour exam...see you WED next week! HS-ESS3-3 Create a computational simulation for developing, managing and utilizing energy & mineral resources based on cost-benefit ratios. HS-ESS3-4 Evaluate or refine a technological solution that reduces impact of human activities on natural systems. TUES 10/17 WU: Rain water in Portage drains into the Portage Creek. Where does that water drain into? WED 10/18 WU: What does it indicate about the health of the creek if you find a lot of "intolerant" macroinvertebrates on Friday? Sign out a chrome book if you would like to use one. Work as a team...assign who is doing what....be sure to proof-read all sections & include your name on "your section". Remember this is not a "research paper" and does NOT need an intro, body and conclusion. Instead it's an informational abstract that should instead include headings with paragraph descriptions. THUR 10/19 WU:What are the chemistry tests you are doing that pertain specifically to the BMPs (best management practices) that are a part of the Milham Park Project? Learning Tasks: Finish work on Part 1 & 2 of field study...DUE to teacher before you leave (share with Mrs. Poulsen) **be sure to proofread all parts & hold your team accountable for their parts...Include with each sub-heading the name of the student who completed that section. **NOTE: Remember to go to FIRST LUNCH tomorrow!! Report to the bus loop immediately following lunch (no restrooms available at park...go B4 you leave!). Wear clothes you can get plenty dirty and you MUST wear shoes that you can go into the water with. Learning Tasks: PORTAGE CREEK FIELD STUDY!! 5th - 7th hours!! MON 10/23 WU: Write a brief summary of the evidence you saw on Friday of the BMPs chosen for the Milham Park project. TUES 10/24 WU: What is the aquatic issue with Nitrogen & Phosphorus overload? THUR 10/26 WU: Compare the before image of milham park to what you saw. How has it changed in terms of erosion prevention measures? FRI 10/27 (half day) DUE: WU: What is the problem associated with erosion? MON 10/30 WU: Describe another BMP that could be implemented at the creek to combat nitrogen overload, phophorus overload and/or erosion issues. TUES 10/31 WU: How can erosion BMPs explain the reasoning behind a drop in Nitrogen in the creek? THUR 9/7 WU: Compare/contrast EXTERNAL and INTERNAL learning strategies. FRI 9/8 WU: How is it that you are so valuable to your team? MON 9/11 WU: When you look out at the night sky, what celestial objects can you possibly see? Success Criteria: I CAN: describe celestial objects found in the universe. I CAN: discuss my understandings about the scale of the universe with others. TUES 9/12 WU: Put these in order from smallest to largest: planet, universe, galaxy, solar system. Success Criteria: I CAN: discuss my understandings about the scale of the universe with others. I CAN: tell another where the energy for Earth comes from. WED 9/13 WU: What atomic feature makes 1 element different from another? Learning Tasks: (slides 7 - 12) How does the sun produce its energy and what are the common elements found inside the sun? FRI 9/15 DUE: WU: Where specifically does fusion take place in the stars? Why is this? MON 9/18 NEW: WU: What is plasma AND why does it make sense that it is making up the stars? Learning Tasks: (slides 22 - 26) Review cornell structure & thoughtful/helpful summaries - Due to fusion in the core, what is the anatomy of the sun? TUES 9/19 WU: What types of EM radiation come from the sun's surface? Learning Tasks: (slides 27 - 32) Anatomy of the sun - Why doesn't the sun explode? What are the features of the sun as a result of fusion going on in the core? WED 9/20 WU: Name the layers of the sun from CORE on out (include the atmospheric layers too). THUR 9/21 WU: What is the solar cycle? What are indicators for it? FRI 9/22 WU: How is Earth protected from solar weather? Learning Tasks: Slides 41-45 (finish segment...solar features) - BBC documentary "The Sun"
MON 9/25 WU: Name and describe 3 solar features. Learning Tasks: 15 min video - I CAN statements (group challenge) - Biozone pg 36 & 37 - Practice Quiz...DUE tomorrow! :) - QUIZ tomorrow! TUES 9/26 WU: What are auroras and what causes them to occur? WED 9/27 WU: How long is our sun predicted to continue fusing Hydrogen in the core? THUR 9/28 WU: Play-by-play what will happen to our sun when the H in the core runs out. FRI 9/29 (1/2 day) DUE: WU: How is fusion different in a low-mass star vs a medium-mass star like our sun? MON 10/2 NEW: WU: Describe & contrast the fusion layers in the core of a "dying" high-mass star vs low-mass star. TUES 10/3 WU: The pathway a star will take in its life cycle is dependent upon the star's _____________. WED 10/4 WU: Where is our sun in its life cycle and how long will it stay in the stage that it's in? THUR 10/5 WU: Will a HIGH or LOW mass star likely fuse through many elements until it reaches iron? Explain. Learning Tasks: Open-packet poster quiz *turn in your packet with your quiz - Star life cycle models ...make them neat, colorful and as accurate as possible! **feel free to google example images -fun! FRI 10/6 WU: Which visible light color has the lowest energy/lowest frequency/longest wavelength? Learning Tasks: View slides 59-63...discuss and take notes -LAB: spectrum tubes...what is the gas?? MON 10/9 WU: Scientists examine the light emission coming from the atmosphere of a star. They discover it consists of Hydrogen. How did they do this? Learning Tasks: Finish the lab (Finish analysis questions as HW...DUE TOMORROW) - (slides 64-68) - Doppler Effect - argumentation, DEMO (slinky), interactive & modeling - SEGMENT 2 DONE!! HW: I CAN statement work & Practice quiz (grade & stamp tomorrow before quiz) - HW: study your cornell notes! Quiz tomorrow! TUES 10/10 WU: Draw a model showing a star blue-shifting. WED 10/11 WU:The Big Bang Theory is the scientific theory that explains the formation of the ______________. I CAN: explain, referencing evidence, how the universe formed. THUR 10/12 WU: How is examining light spectra of objects out there used to provide evidence of the Big Bang? Learning Tasks: Finish segment 3 (slides 77-81) - Biozone pgs (DUE MON) - Unit review (DUE MON) **HW study - TEST MONDAY! FRI 10/13 WU: What element did we discover the universe is made mostly of AND how did we determine this? *hang onto your warm ups for now & use them to study. Turn them in Mon. Learning Tasks: Introduce Semester Project (Creek field study) - Your TEAM is your TABLE - outline research, case study & permission slip **HW study - TEST MONDAY! WU: What is the difference between climate and weather? WU: List the 3 Earth motions of the Milankovich cycles and the time-frames they occur. A: U4S1 (stamps/grading & practice quiz) - Albedo vs absorption ** Seg 1 & seg 2 final quizzes will be together this week Monday! WU: What is albedo and what is something that has HIGH albedo? A: Review causes of climate change (causes video 13 min) https://www.youtube.com/watch?v=RHrFBOUl6-8&t=24s- (effects of a warming planet https://www.youtube.com/watch?v=ab6jV4VBWZE -Feedback activity (groups) - U4S2 foundation time ** U4S2 & U4S1 FINAL QUIZ MON! DUE: WU: List the causes for global climate change. A: Permafrost melting (positive feedback) (7 min) https://www.youtube.com/watch?v=2w4UQfJHD-A - Seg 1 & 2 kahoot review - U4S2 (and U4S1)...stamps/grade & practice quiz **Seg 1 & Seg 2 Final QUIZ Monday! NEW: WU: Enriching portions of the ocean with iron increases the growth of phytoplankton which pull CO2 out of the atmosphere. This is a _______ feedback. WU: Write one fact or tidbit from yesterday's video. WU: Name as many GHGs as you can. What do you think makes greenhouse gases different from regular gases? WU: What type of wavelengths do most GHGs absorb? ...where are these wavelengths coming from? WU: Which GHG is the strongest? Which GHG is responsible for the most trapping of heat? A: video clips: https://www.youtube.com/watch?v=sTvqIijqvTg & https://www.youtube.com/watch?v=SeYfl45X1wo - GHG cardwork - U4S3 (stamps/grade & practice quiz) **U4S3 Final Quiz Wednesday! WU: Do GHGs make up most of the atmosphere composition? A: DUE: GHG Cartoons- Segment 3 kahoot review - U4S3 Final QUIZ - U4S4 work time- ** TEST FRI! WU: Which protocol limits the emissions of GHGs, in particular carbon dioxide? A: Impacts (4 min) https://www.youtube.com/watch?v=n21SGSgesmo -Unit 4 review (stamp/grade) - TEST TOMORROW! DUE: WU: List 3 consequences of a warming planet. NEW: WU: Which protocol banned the use of CFCs? NEW: WU: How are YOU connected to the ocean? 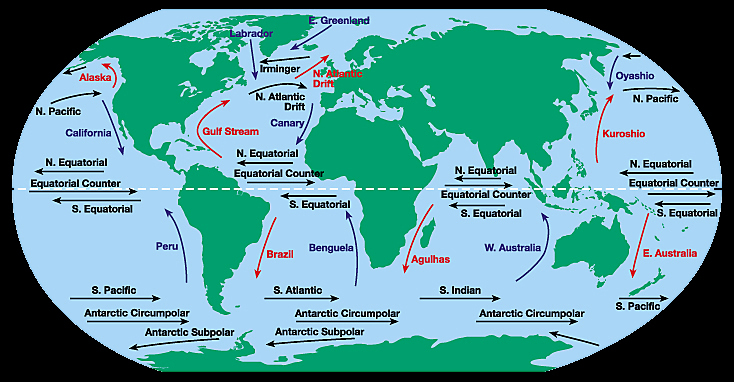 WU: What do you think is the number 1 cause for ocean currents? WU: What percentage of surface area of the planet is covered by ocean? Name the ocean on our west coast and name the ocean on our east coast. WU: Which 2 factors from the lab impact ocean water DENSITY? How does this create motion? A: Global Wind Map Drawings - U3S1 foundation work time **should practice quiz today!! (stamp & grade notes & quiz!) ANNOUNCEMENT: Due to research paper due date tomorrow, the final quiz for segment 1 will be given with segment 2 final quiz (together) **Research paper DUE tomorrow! WU: Which side of the ocean basin is WARMEST (West OR East)? Explain. A: Temp Layers Quick activity - U3S2 foundation work time - Practice Quiz (stamps & grading) - FINAL quiz (Seg 1 & 2) Monday! NEW: WU: Name the 3 temperature layers in the ocean (include both names if applicable). WU: Name the current that runs along our West Coast and describe how it may impact climate there. A: Map comparison activity (review together) - Unit 3 TEST Thursday! WU: Describe how the climate in the British Isles is impacted by the ocean. A: Unit review time (stamp & access key), buddy study - HW: study! Test tomorrow! WU:What is the driving force for the global conveyor belt and what does it convey? WU: What do you do if you are absent from this class? WU: Break up the phrase EARTH SYSTEM SCIENCE and what do you think it means? WU: Name the 4 Earth spheres and an example of something that belongs to each. Teacher must see practice quiz results before you leave today! WU: Environmental issues, energy resources, oceanography, climate change, astronomy: Which of these topics do you have the most interest in and why? WU: You are a water molecule in a lake. Name the next 3 steps that will happen to you as part of the water cycle. A: review terms (speedwork) - U1S2 foundation time (practice quiz ...stamp, grade, stamp again) (FINAL QUIZ tomorrow) - Teacher should see your practice quiz results before you leave today! DUE: WU: What percentage of the water on Earth is salty? NEW: WU: What is the problem associated with increasing levels of CO2 going into the atmosphere? WU: Of all 5 ways that carbon dioxide is released into the atmosphere, which one is solely controlled by humans? A: U1S3 taskwork time **be sure to get everything stamped & graded, including practice quiz before you leave! - FINAL QUIZ tomorrow! WU: The ocean is a very large carbon sink. Write a series of steps from the carbon cycle that can take place in the ocean. WU: How much of the atmosphere is N2 gas? Is it usable in that form to humans? WU: What is the process that takes N2 gas out of the atmosphere? What can do this? A: Finish N cartoons - Nitrogen cycle Kahoot! - U1S4 stamps, grading practice quiz & cardsort time - work on researching your research project topic (for paper) -Final Quiz U1S3 & U1S4 MON! WU: What is eutrophication? ...cause? effect? WU: Name the 6 air pollutants in the Clean Air Act. A: Air Pollution Fact finding...DUE tomorrow! WU: Name 2 gases that contribute to acid rain. Name a natural buffer to acid rain in nature. DUE: WU: Describe a technology that has been engineered to cut back air pollution emissions. NEW: WU: Why is natural rain slightly acidic? How does the pH change after a buffer is added to an acidic solution of pH 2? WU: Warm air is at the warm Earth's surface. Is this the set up for a temp inversion? Explain. A: Finish Seg 6 practice quiz (grade) - Unit 1 review (grade) - HW: Unit 1 TEST tomorrow!! WU:What gas breaks down ozone and what is the protocol that banned it? DUE: WU: Name the two astronomy units of distance and circle the largest. NEW: WU: Name the 2 most abundant elements in the stars AND what state of matter do they exist? A: Finish notes - Kahoot review (U5S1) - partner review - practice quiz (stamp/grade) - flashcard work time **Final Quiz tomorrow! WU: What causes an aurora to occur and where on Earth do you see them? WU: Why does fusion only occur in the core but nowhere else in the star? Write Einstein's famous fusion equation and explain what it is saying. WU: What important factor determines which path a star will take in its life cycle? A: Star life cycle sketch - Picture sort - Star life cycle card work (color cards)...U5S2 Final quiz MON! WU: Trace the pathway that a very HIGH(highest) mass star will take (from start to end) in its life cycle. A: 5 min star life cycle video https://www.youtube.com/watch?v=PM9CQDlQI0A-Star life cycle card work (pink cards) - practice quiz (stamp/grade) ...U5S2 Final quiz MON! WU: Which element fuses when a star is stable? How many atoms are actually needed for this reaction? WU: Explain how the doppler red shift is evidence for the big bang. A: A most astounding fact - A cosmological trip through time -U5S3 practice quiz (stamps/grade) - Exam review time (10% of exam grade) **Unit 5 foundation packets & ALL flashcards DUE TOMORROW! WU: What does the Big Bang Theory explain the formation of? What is the estimated age of the universe? WU: Write out the N cycle. A: Exam review time (10% of exam grade) **Books due exam time, but turn in early on front counter if you'd like. DUE: WU: Name a form of carbon in each Earth sphere and give an example of a sphere interaction involving carbon. DUE: WU: What could cause a surface water area to have a low pH reading? NEW: WU: Name 2 nonrenewable energy resources. Name 2 renewable energy resources. - U2S1 practice quiz (stamps & grade) -Final quiz tomorrow! WU: Write the steps of coal formation in order from least carbon concentration to most. Write the combustion equation. WU: Compare and contrast a nuclear power-plant with a coal-burning power plant. A: U2S2 review (pros & cons) -U2S2 practice quiz (stamps & grade) - Final quiz tomorrow! 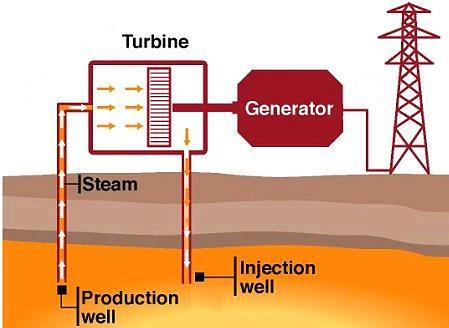 WU: Name the 4 nonrenewable energy resources and the reactions happening in a powerplant for each. A: U2S2 Final Quiz - U2S3&4 notes & reading - REMINDER: Semester paper is DUE next week THUR!! WU: In general which are more efficient at converting energy into electricity...renewable or nonrenewable powerplants? Explain. A: Biofuel article - Discuss & draw biomass, biofuel, geothermal, hydroelectric, tidal - Final quiz WED! WU: Compare and contrast biomass with biofuel. A: U2S3&4 practice quiz (stamps & grade) Final Quiz Tomorrow! 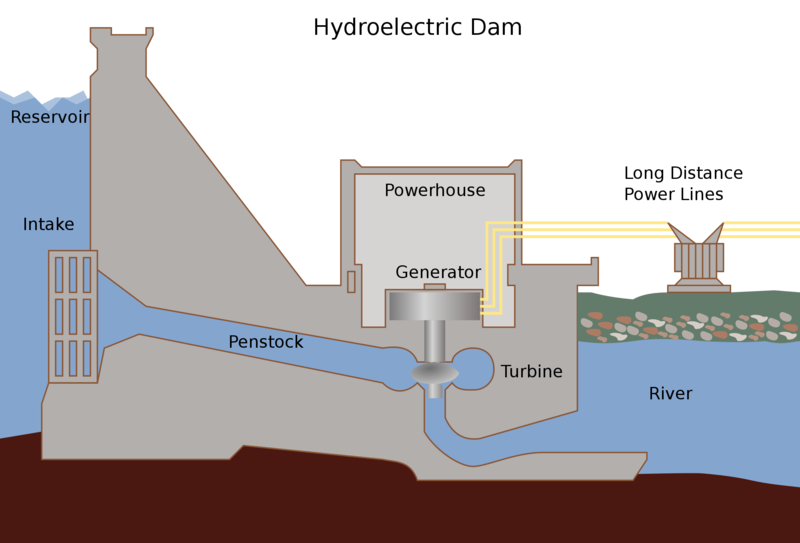 WU: Compare and contrast hydroelectric and tidal energy. WU: Compare and contrast passive & active solar systems for the home. What does photovoltaic provide that passive and active do not? DUE: WU: What did you discover about Michigan with regard to wind & solar energy (from map activity)? A: Discuss 3D model & survey (DUE NOV 18) - U2S5 review - be sure to practice quiz today!! Final Quiz Mon! Unit TEST WED! NEW: WU: What can impact the efficiency of a wind turbine? A: U2S5 Final Quiz - U2S6 notes (no practice or final quiz over seg 6) - begin unit review -TEST WED! WU: Compare the energy efficiency of a wind turbine with an oil-burning power plant by DRAWING a model of both and labeling energy conversions. Circle the one that is most efficient. A: Unit 2 review work time **Check the key! - STUDY!! Kahoot?? https://create.kahoot.it/?_ga=1.90746783.48041957.1427482685&deviceId=c35d3ee4-ff73-418a-96df-5fca763ca646#quiz/0b98b112-d4d3-49f5-afef-a9c9d33dda1a (you will need to have an account to access this. If you don't use this one USERNAME: PNScience PASSWORD: Huskies - Unit 2 TEST tomorrow!! WU: What major advantage does nuclear power have over all other options? - Planet Earth - Oceans! ?? How can you measure the efficiency of a light bulb? WU: When is a line graph most appropriate to display your data? Bar graph? Is it bad science if a hypothesis is not supported by the experiment or investigation? 1st hour: WU: What did you discover (in your research) is an aspect about a turbine that allows for higher efficiency? DUE: WU: Describe another wind turbine design that is not "blades". WU: What are factors that determine climate? WU: List the 3 Earth motions in the Milankovich cycles and the time-frames they occur. A: U4S1 Foundation time ** Seg 1 & seg 2 final quizzes will be together next week! ** 3D teaching model, survey/interview DUE TOMORROW! **REMINDER: 3D model, survey/interview DUE TOMORROW! 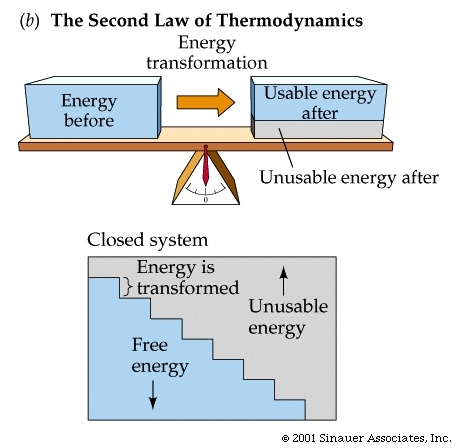 A: DUE: 3D teaching model, survey/interview - Albedo vs absorption - U4S2 foundation time ** U4S2 & U4S1 FINAL QUIZ TUESDAY! WU: List the causes for global climate change. A: Review causes for climate change - Feedback activity (groups) - U4S2 foundation time **Seg 1 & Seg 2 Final QUIZ tomorrow! WU: How are greenhouse gases different than regular gases? Name as many GHGs as you can. WU: List the GHGs in order of lowest strength to highest strength (ignore water vapor). A: video clips: https://www.youtube.com/watch?v=sTvqIijqvTg & https://www.youtube.com/watch?v=SeYfl45X1wo GHG review together - U4S3 foundation time **U4S3 Final Quiz tomorrow! DUE: WU: Which GHG comes from rice cultivation and cows? WU: Name the 2 protocols learned in this unit and what gas they banned/limited. A: Review work time (get stamped and graded) - HW: study!! WU: List 4 consequences of a warming planet. Are they guaranteed to happen? Explain. A: Poster work time -DUE TOMORROW! Bring in everything...3D model, survey/interview stuff & poster! A: DUE: Posters/3D model/survey or interview - Teaching tips - practice rounds! 3. TEACH - Use your model! Don't be afraid to have them try to guess what things are for and what they do.